There’s something about large landmarks and attractions that fascinate people. Whether it’s the largest Ferris wheel in the world, the world’s tallest man, or the highest mountain in the world, people love extremes. In addition to the expansiveness of Australia’s landmass, this island continent is known for its enormous sculpture landmarks. Here are just a few you might consider visiting. New York may be called “The Big Apple” but Nambour, Queensland is home to “The Big Pineapple.” At 16 meters tall, this giant structure is the largest pineapple-shaped building in the world. Built in 1971, The Big Pineapple stands in front of a massive pineapple plantation. It attracts tourists to the plantation where visitors can enjoy rides and look at animals and botanical displays. Inside the building is a guide to the delicious tropical fruit which will entertain your kids and dazzle them with pineapple fact and information. Wauchope in New South Wales is home to the Big Bull, a massive structure that stands in commemoration of all things dairy-related. The building was home to a milking display, a nursery for animals, and a place for kids to watch a day in the life of cows. It has been an education destination for years, but the building — located just a few kilometers outside of the town — has officially closed. This eight-meters-tall statue was unveiled in 2008 after 17 years of developing, designing and carving it out of solid granite. Located in Wudinna, South Australia, this statue is a commemoration of the farmers that lived in the region long ago. 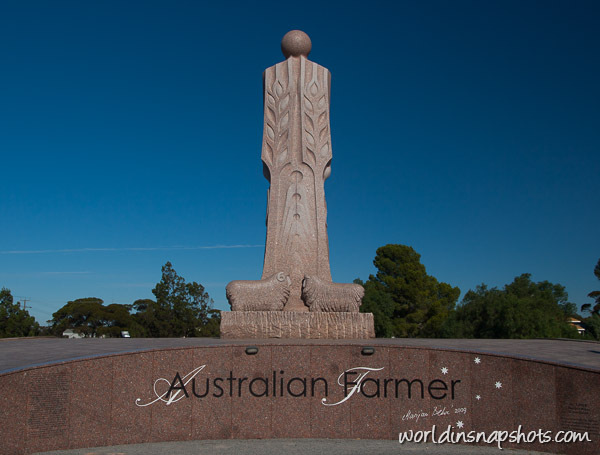 It took 70 tonnes of local granite to make the Australian Farmer, but it was worth it to produce the monument. 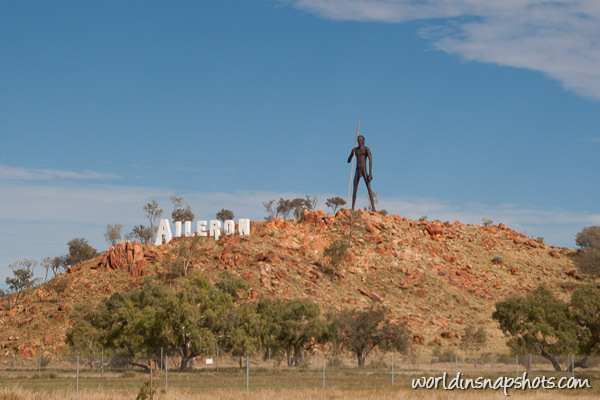 Located just behind the Aileron Roadhouse, this 17-meter-high statue has been dominating the landscape of the Northern Territory since 2005. The town, where the Anmatjere people have lived for centuries, is just 130 kilometers to the north of Alice Springs. The people have named the statue Charlie Quartpot, in honour of a rainmaker that called the area home long ago. In Western Australia, Denmark is home to The Big Thing — a massive barometer that stands nearly 4 meters high. It officially holds the Guinness Book of World Records title of “The Largest Barometer in the World”. It was actually built in the Netherlands, but was donated to the Western Australian town in 2007. The barometer is engraved with the name of its original owner, Bert Bolle. Even more impressive than the size is that the barometer actually works! Imagine painting on a canvas seven meters wide and 10 meters tall — that would take a lot of paint! The Big Easel was erected in November of 1999 as part of the Van Gogh Project, which is a series of Van Gogh paintings done on enormous canvases and on even bigger easels. Seven sites were chosen to display these huge pieces of art including Emerald Australia. The canvas depicts some of Van Gogh’s very famous sunflowers and rests on an easel 25 meters high. Australians like their fruit, but who knew they liked them this much? The massive orange stands 15 meters tall, 12 meters wide and weighs upwards of 85 tonnes. The building is divided into four floors: the first floor is an event room, the second floor a café and gift shop, the third floor is covered by a mural of the surrounding area, and the fourth floor serves as a lookout point. This massive building is absolutely fascinating, and your kids will love it! The 12 meter-tall guitar is located in Tamworth, New South Wales, and it stands at the entrance to the Country Music Gallery of Stars Wax Museum. It weighs over 1.5 metric tonnes, and it has been around since 1988. Smaller replicas of the massive statue are handed out as awards at the Country Music Awards every January! Many people searching for comfortable accommodations in Australia will look for rooms with a view of these massive structures, or will at least make it a point to visit them at one point or another.